Pour champagne and limoncello together in a large pitcher. Add blueberries. 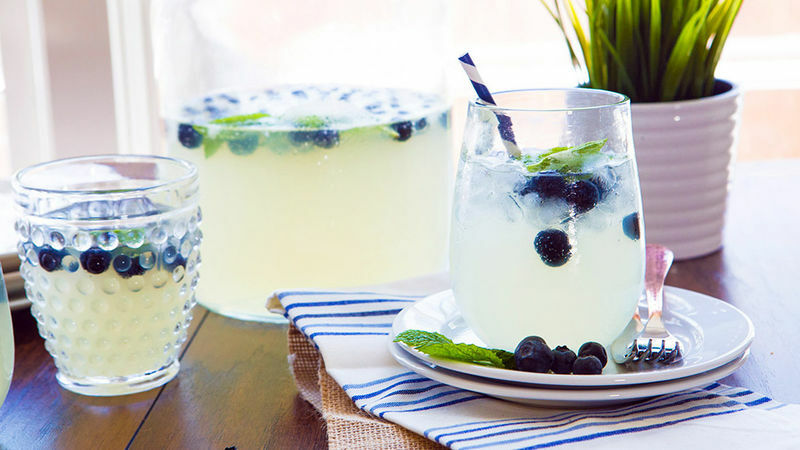 Pour into glasses and serve topped with fresh mint. Enjoy! Flavor twist: Add any other frozen berries to this cocktail if you like. Get creative!